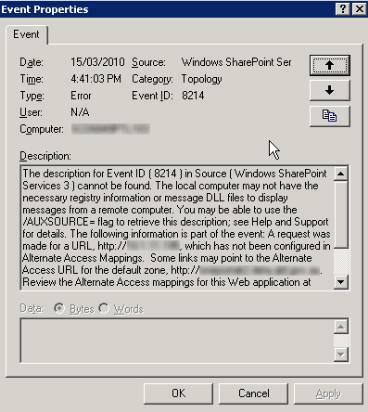 "The description for Event ID ( 8214 ) in Source ( Windows SharePoint Services 3 ) cannot be found. 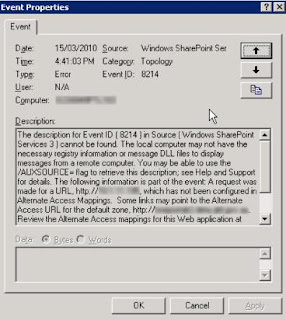 The local computer may not have the necessary registry information or message DLL files to display messages from a remote computer. You may be able to use the /AUXSOURCE= flag to retrieve this description; see Help and Support for details. 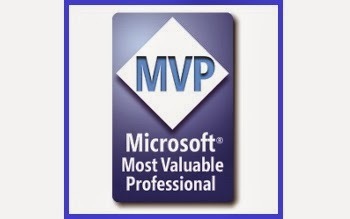 The following information is part of the event: A request was A request was made for a URL, http://wssserver.com, which has not been configured in Alternate Access Mappings. Some links may point to the Alternate Access URL for the default zone, http://wssserver.com:8080. Review the Alternate Access mappings for this Web application at http://wssserver.com:8080/_admin/AlternateUrlCollections.aspx and consider adding http://wssserver.com as a Public Alternate Access URL if it will be used frequently. Help on this error: http://go.microsoft.com/fwlink/?LinkId=114854."